This alert gives notice in the 012th District (Near West) of robbery incidents which have occurred during the month of March on Beat 1224. In these incidents, the victims attempt to purchase items from “Offer Up” at a pre-arranged location. As the victim waits, offenders approach, display handguns, and take proceeds. 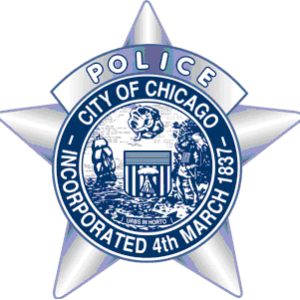 This alert gives notice in the 012th District (Near West) of robbery incidents which have occurred during the month of March on Beat 1211. In these incidents, the offenders are driving in alleys when they approach the victims either in or near their personal vehicles. The offenders exit their vehicles, approach the victims, display handguns, demands property, re-enters their vehicles, and flee the scene. 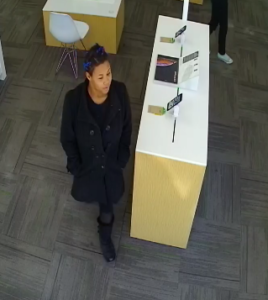 On February 8, 2019, at approximately 1:10 p.m., in the 2300 block of West Chicago Ave., the person pictured above was involved in an attempt armed robbery. The individual entered the business and started a conversation with the employee before delivering a note stating that she was armed with a gun and demanded property. She then fled west possibly on a CTA bus. The offender frequents the area of District 11 and District 12. This alert gives notice in the 012th District (Near West) of robbery incidents which have occurred during the months of December and January on Beats 1211, 1212, and 1221. In these incidents, offenders approach on foot and demand the victim’s property. The offenders use force in some incidents. The offenders flee the scene and are reported to enter a small dark sedan, possibly a Ford Fusion.